Janet Lilo: Hit Me With Your Best Shot (the remix) is the second iteration of an exhibition first commissioned and presented by The Physics Room in Christchurch and curated by Melanie Oliver (26 July to 25 August 2013). The City Gallery Wellington remix is curated by Ane Tonga as the first exhibition in the new Deane Gallery Guest Curator Programme. Everything that the big city has thrown away, everything it has lost, everything it has scorned, everything it has crushed underfoot he catalogues and collects. He collates the annals of intemperance, the carpharnaum of waste. He sorts things out and selects judiciously: he collects like a miser guarding a treasure, refuse which will assume the shape of useful or gratifying objects between the jaws of the goddess of Industry. This notion fascinated critical theorist Walter Benjamin, who furthered ideas of the rag-picker in his unfinished project The Arcades Project (Das Passagen-Werk), 1927-1940. Like Baudelaire, Benjamin envisioned himself as the Parisian chiffonier, not only collecting physical objects, but also gathering intangible ephemera such as ‘rags of speech’ and ‘verbal scraps’. (3) Benjamin shared Baudelaire’s concerns that such ephemera could be discarded, appreciated and collected only by the chiffonier. (4) This mode of assemblage, a weaving together of disjointed connections, provides an alternative way to make sense of one’s place within a constantly changing city. In a similar manner, Janet Lilo’s mixed media installation Hit Me With Your Best Shot (the remix) gathers fragments of ephemera discarded around Christchurch city. Evident in Lilo’s new body of work is the potential for walking to move beyond a leisurely activity and act as a challenge to recapture and re-experience sites of destruction. Lilo trekked through Christchurch city over a period of three days. Walking is an integral element of the artist’s process, allowing for chance encounters and the collection of discarded ephemera. Together, this assemblage of collected ephemera and documented encounters creates an excessive miseen-scene where every detail is loaded with meaning. Lilo’s collaging 1200 6” x 4” photographic prints reflects an ongoing exploration of spatial distances highlighted in her double-mediated portraits of people she encountered on her walks. Figures such as Ashley Liu, a former store owner, are photographed outside a demolished grocer. Liu holds a Polaroid portrait of herself and is re-photographed in the location where she met the artist. The next figure, Frank Moffatt, is photographed outside the wall of remembrance. 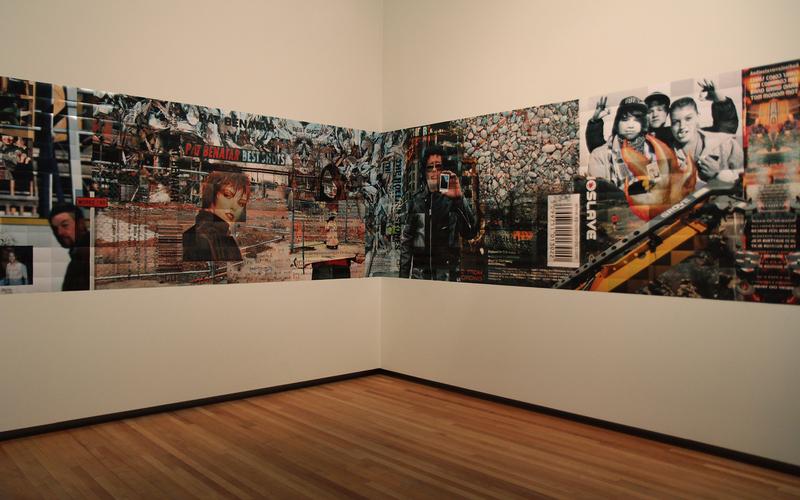 These portraits are overlaid with textures of the landscape of inner-city Christchurch, such as a bed of flowers and mountains of asphalt, excavators and wheel loaders. For Lilo, opting for more accessible photographic formats brought to mind ‘the way in which images consist of numerous square pixels, and when low resolution images are enlarged, these pixels distort our perception.’6 Here the collage creates an overload of imagery that collapses time and space into a single representation. 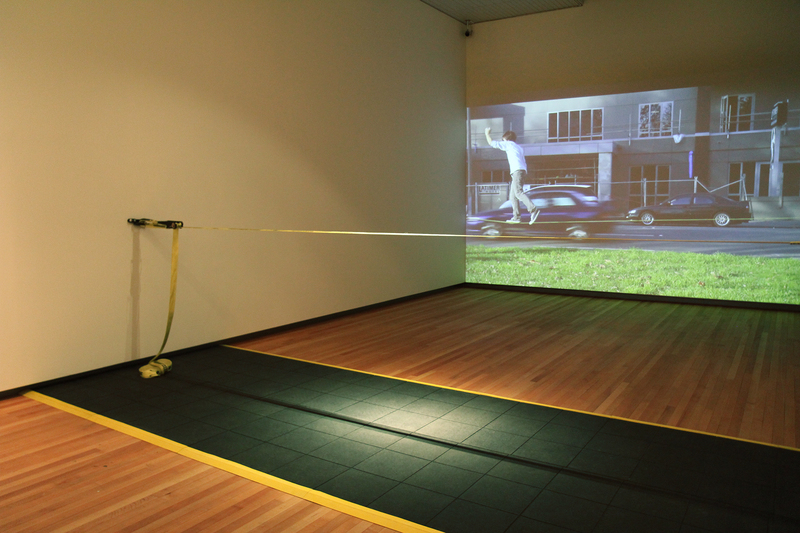 The act of walking as a mode of engagement is echoed through the projected moving image work. Here, Lilo casts her lens on an intriguing performance of slacklining, a popular new sport that combines tightrope walking and trampolining. A nylon material is tensioned between two anchor points, in this case two trees, which allow Juan Pablo to practice his balance. Pablo’s attempt to achieve equilibrium amidst the moving vehicles and offputting sounds of construction is at times unnerving. Pablo creates his own performance space in Latimer Square, walking the slackline and doing tricks that interrupt the normal comings and goings within the urban environment. His performance metaphorically reflects the realities for many Christchurch residents who teeter the line between home and displacement, destruction and rebuilding,ultimately displaying an unyielding resiliency to the changing conditions of their city. Ane Tonga is a practicing artist and curator based in Auckland. Much of her artistic practice references traditional art forms and cultural practices, tracking their evolution into a modern, multi-cultural society. Since completing a Bachelor of Fine Arts with Honours from the Elam School of Fine Arts, she has exhibited in solo and group exhibitions such as Girls Who Shoot/Boys Who Draw 2012, Papakura Art Gallery; Land/Scape 2012, Papakura Art Gallery; Dust to Dust 2011, TSB Wallace Arts Centre; Make/Shift 2010, St Paul Street Gallery. 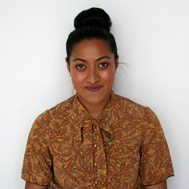 In 2012, Tonga was the recipient of the Blumhardt Curatorial Internship at the Dowse Art Museum where she curated the exhibition Everyone Talks to Everyone 2013. She is currently working on different artistic and curatorial projects which include her on-going photographic series Grills, which will be exhibited at the Gus Fisher Gallery, as part of the Auckland Festival of Photography 2014. Above: Mr Juan Pablo Mayol. This exhibition by Janet Lilo reminded me of an installation I created on my campus. 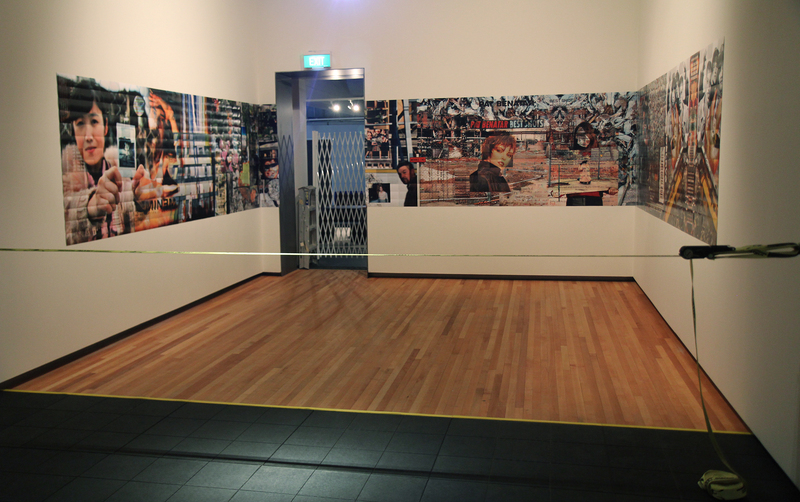 I saw “Hit Me With Your Best Shot” at a the Wellington City Gallery in New Zealand.